The growth of the solar and wind industries has created a range of new job opportunities across the nation. The A Renewable America Jobs Tour stopped at Research Triangle Park in Durham, North Carolina on April 24 for a tour of a state-of-the-art solar monitoring control center. They were joined by, among others, Congressman David Price, EVP of Cypress Creek Renewables’ Operations and Maintenance Joe Brotherton, and Director of Control Center Operations Kyle Cooper (and former Duke Energy Brunswick Nuclear Plant employee). 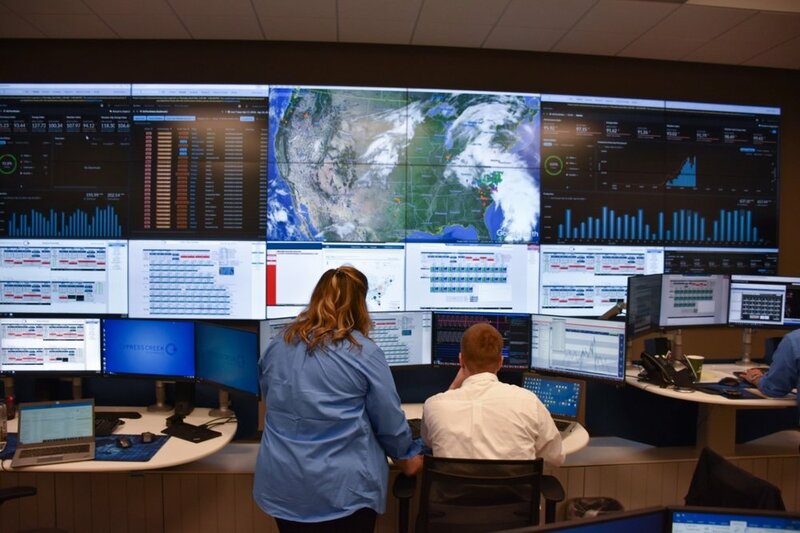 Out of the Cypress Creek Control Center, the company now operates 232 utility, distribution, and rooftop-scale solar facilities totaling more than 2 gigawatts in 14 states across the country. Solar Industry Magazine: Cypress Creek opens national solar control center in N.C.